The primary purpose of the Nicholas J. Murphy Foundation is to provide free and reduced rate divorce, custody, child support and family law legal services to veterans and active duty members of the Armed Forces through the Nicholas J. Murphy Military Legal Clinic. Currently, that work is being provided free of charge or for a reduced rate 20% discount in partnership with and through the legal services of the attorneys and paralegals at the law firm of Murphy & Dunn. 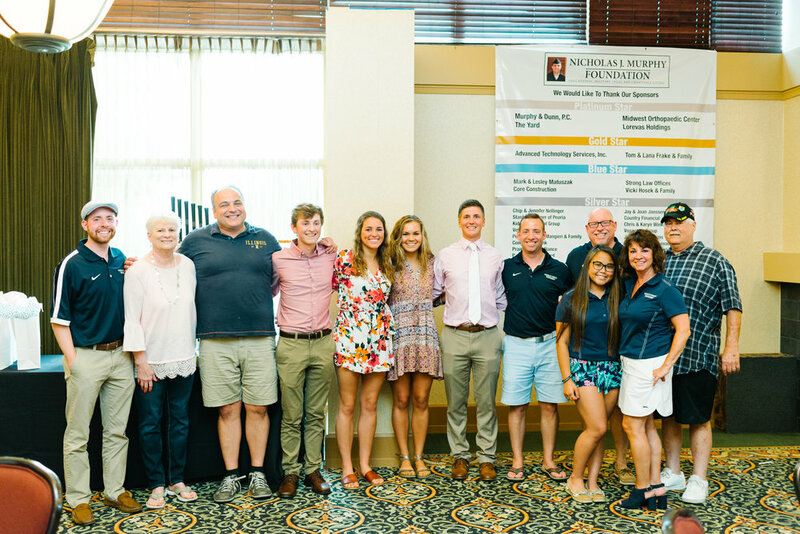 In addition, we are also providing college scholarships to deserving student-athletes and providing financial support to veteran and active duty members of the Armed Forces at Christmas time each year through our Military Christmas Grant Program. Nick's Foundation provides free and reduced rate family law legal services to deserving families with a connection to the Armed Forces who need divorce, custody, child support and other family law related legal services, provides educational scholarships and financial support to high school and college student-athletes to advance their college and graduate school education, and provides military grants to help members of the Armed Forces and their families with needed help at Christmas, all in honor of our son, Nicholas James Murphy, who was killed on November 19, 2016 while serving in the United States Navy. Free and Reduced Rate Family Law Legal Services for Veterans and Active Duty members of the Armed Forces. 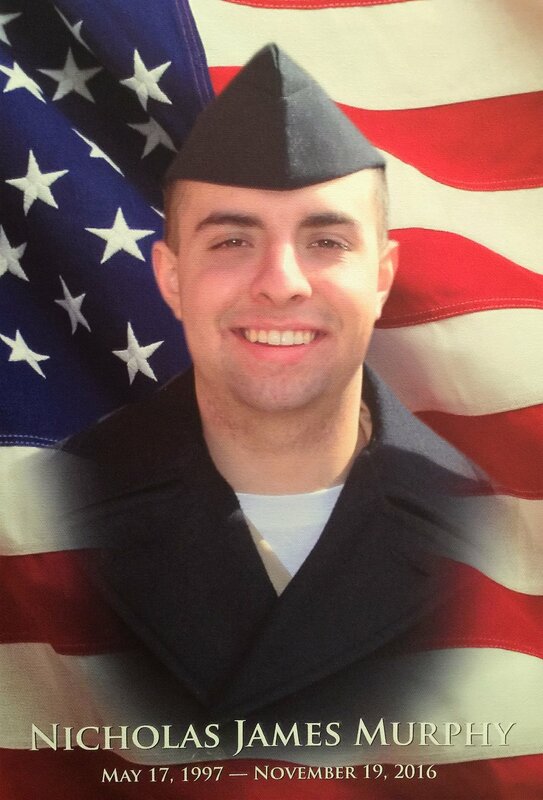 As part of the Nicholas J. Murphy Foundation, we have created the Nicholas J. Murphy Military Legal Clinic to offer free and reduced rate family law legal services to veterans and active duty members of the Armed Forces and their families in the areas of divorce, custody, child support and all areas of family law in Peoria, Bloomington and throughout Central Illinois. This clinic will be administered in partnership with the law firm of Murphy & Dunn, P.C. and operate out of their two offices located in Peoria (at 456 Fulton Street, Suite 425, Peoria, Illinois) and in Bloomington/Normal (at 328 Susan Drive, Suite 200, Normal, Illinois). This Military Legal Clinic began operations in January 2017 and our goal was to undertake 15 cases each year and to complete at least $75,000.00 worth of free or reduced legal services through the clinic. We have vastly exceeded that goal and are growing each day. To date we have taken on 79 cases and provided over $440,000 worth of free legal services. All of this was made possible through the volunteer legal work completed by the attorneys, paralegals and staff at the law firm of Murphy & Dunn. Their partnership with the Nicholas J. Murphy Military Legal Clinic has made this first two years a huge success. All work performed involving active duty Armed Forces service members and veterans must be on behalf of the service member and veteran and not against them. We will not represent a party in a case where we are litigating against the active duty service member or veteran themselves. The Nicholas J. Murphy Military Legal Clinic will assist clients in all areas of family law, including divorce, custody, visitation, child support, and all child related matters. 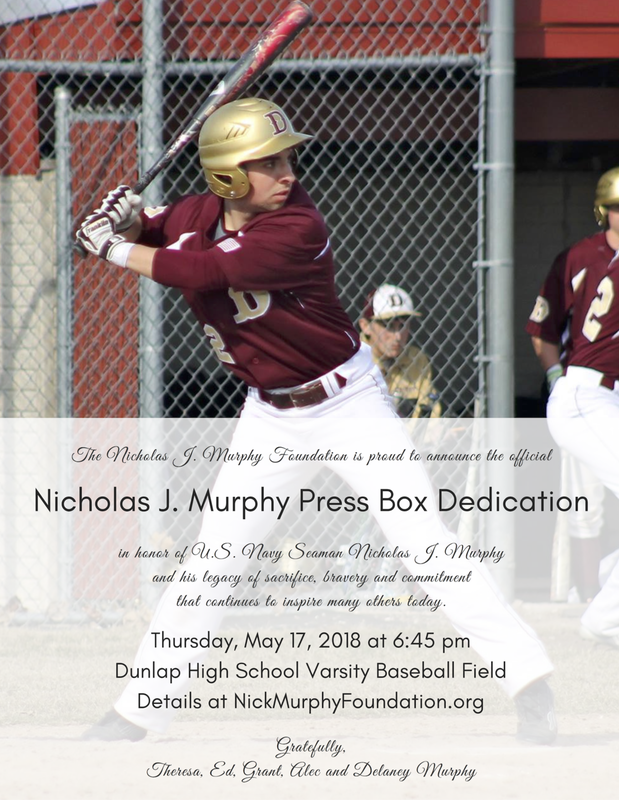 All time spent on these cases are from volunteer attorneys and paralegals offering their services free of charge or at a reduced rate to honor Nick Murphy and all that he stood for. We also will complete mediation in these areas and have attorneys that can act as a Guardian ad Litem. Thank you to all of the attorneys, paralegals and support staff who have volunteered their time and their money to make this clinic a reality. We are also raising funds to assist in the cost of the clinic, including filing fees, subpoena fees, expert fees, service fees, etc. We are seeking donations, possibly from veterans who might want to get involved and help out other veterans less fortunate than them. Those funds will be used for actual costs in the clinic on cases undertaken and for third party expenses to complete the cases properly. 100% of all money raised will be used entirely for the Military Legal Clinic to operate. However, our goal is to expand statewide and to be able to hire full-time attorneys, paralegals and staff to operate the clinic as a separate and fully functional law office. With your help, we will make that vision a reality. Thank you, everyone, for your kind words and prayers in support of our family. Both Theresa and I, as well as our children Grant, Alec, Nick and Delaney, appreciate everything you have done. More importantly, thank you for any monetary contributions and in-kind contributions you can commit to making and pledge to make in honor of our son, Nicholas James Murphy. Thank you also to the attorneys, paralegals and staff at Murphy & Dunn, P.C. for their tireless efforts at making the Nicholas J. Murphy Military Legal Clinic a reality. As you can see, we are very proud of the young man Nick Murphy became and his contributions and sacrifice to our country. Nick was an exceptional young man and we will do everything in our power to make sure his legacy lives on by helping as many people as we can on his behalf.